We begin the tour by heading towards Kassiopi, in the north east of Corfu. With the magnificent backdrop of Mount Pantokrator and hills covered with lush green plantations, you reach Kassiopi through narrow roads. Kassiopi harbour with it’s little square, is the focal point of the village. Next is Makrades before heading to krini, Angelokastro and then stopping in the village of Lakones, located 4 km away from Paleokastritsa, with an altitude of 182 m. It has preserved the old spirit with its stone houses from 18 and 19 century. Paleokastritsa is next with its amazing views before the tour ends in Corfu Town. We begin our tour on the east part of Corfu and follow the scenic drive along the sea to Kassiopi. Our first stop to Kassiopi is San Stefanos, where we will view the old fishing harbour and seascapes. Moving on to Avlaki Bay and continue to Kassiopi, where we will view the harbour and explore the surrounding village. Moving on to Makrades, and then heading to Krini and Agelokastro, you will enjoy and be able to photograph the beautiful views. After that we head to Paleokastritsa, where you can enjoy the local cuisine and harbour. We end the tour in Corfu Town. 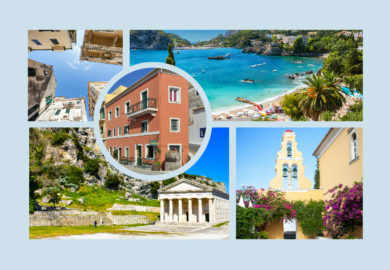 Explore all the main tourist destinations and sights that Corfu has to offer! 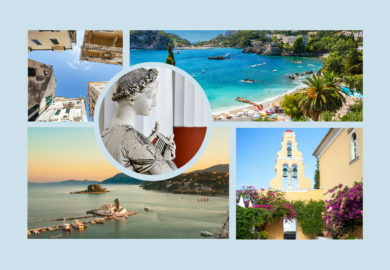 Take a tour of the Achilleion Palace, Mouse Island, Kanoni peninsula, The Mon Repos Palace and Old Part of Corfu Town – and become one with the history of this spectacular region. Experience the magnificent and bespoke natural beauty that surrounds, as you go on tour through Corfu! Explore the Old Traditional Villages in Central Corfu, Pelekas Village, Kaiser's Throne, Paleokastritsa, Monastery of Virgin Mary and Old Corfu Town – for an unforgettable experience. 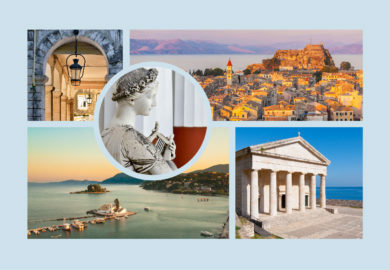 Make the most of your short stay in Corfu, with a half day tour of the town’s most must-see sights! Experience Paleokastritsa, Monastery of Virgin Mary, Achilleion Palace, and Old Part of Corfu Town, and be sure to get your camera ready for Mouse Island.